Residents of Gateshead town centre’s high-rise block will pioneer the use of newly installed fire safety systems believed to be the first in UK. 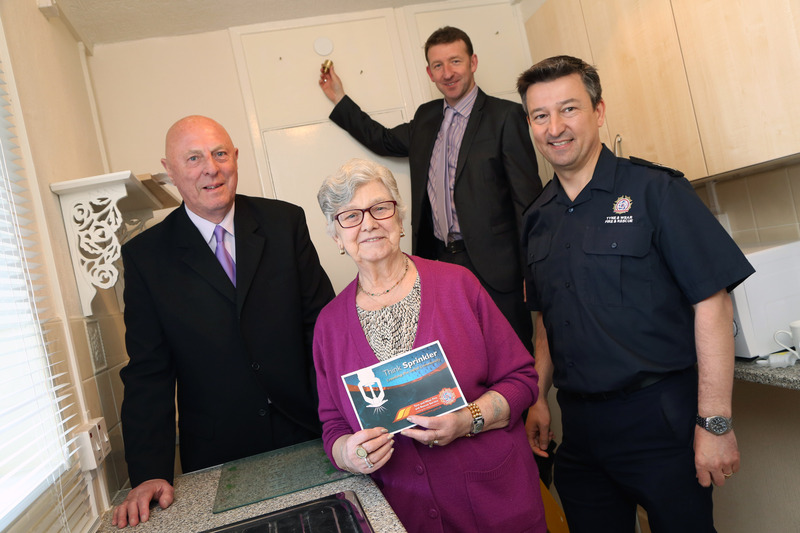 The multi-million investment scheme is part of Gateshead Housing Company and Gateshead Council refurbishment to upgrade fire safety measures. Regent Court, a 10-storey block with 160 flats is the first to be fitted with an innovative sprinkler system amongst the 20 residential high rise blocks across the borough. Each flat and all communal areas will be protected to make sure all of the residents have ultimate lifesaving protection. Assistant Chief Fire Officer John Baines said: "A fire death in a building with sprinklers fitted is extremely rare, where the sprinkler system is appropriately designed, fully operational and maintained. "Whilst smoke alarm activation can give people the early warning of fire, clear evidence suggests that the installation of sprinklers is the single most effective measure in protecting occupants from fire." TWFRS is committed to campaigning for the installation of sprinklers in new build or existing homes, together with non-domestic premises. Sprinkler installation is one of the elements of fire safety measures being upgraded; others include fire safety doors and emergency lighting which will mostly warrant vulnerable residents’ safety from fire. Councillor Peter Mole said he was proud that Tyne & Wear are pioneering the first installation of sprinklers in an existing high rise building with mixed residential use in the UK. "The investment will ensure that residents, especially the most vulnerable, will benefit from the best possible protection from fire," he said.